Most of you probably know that Dear Hubby is not the biggest fan of vegetables. The light bulb came on a few years ago when I realized I needed to get more creative in the kitchen to make veggie-laden dishes that my family would actually enjoy, or at least finish. Since then I have created hundreds of recipes that fit the bill... and miraculously Dear Hubby has loved sweet potatoes and chickpeas in this soup, quinoa in these brownies, shredded broccoli in these tacos, kale in this juice and artichoke dip, and pumpkin in this chili. To be fully transparent, this is not one of those recipes. Dear Hubby took one bite and pushed the bowl as far away from him as possible. To make sure I wasn't completely crazy, I made another batch and took it to work so that my coworkers could taste-test it and give me their opinions. And thankfully I saw completely empty bowls and heard things like, "THANK YOU!!" "Sooooo yummy!" "Is there any more?" and "Perfect for the holidays." PHEW!! 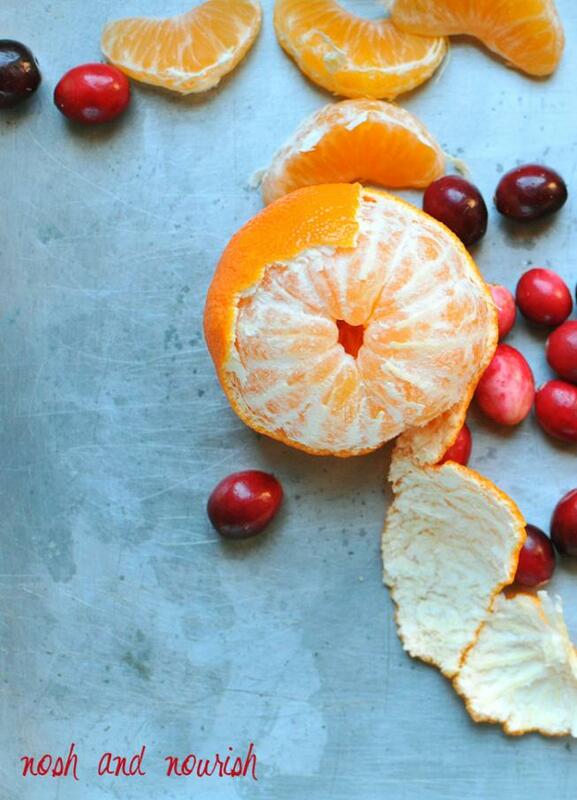 The makings of a beautiful Christmas salad -- fresh cuties and cranberries. I have been known to make salad dressings using Greek yogurt, but I wanted to make this one completely dairy-free. So I subbed in Silk Vanilla Protein + FIber Almondmilk. 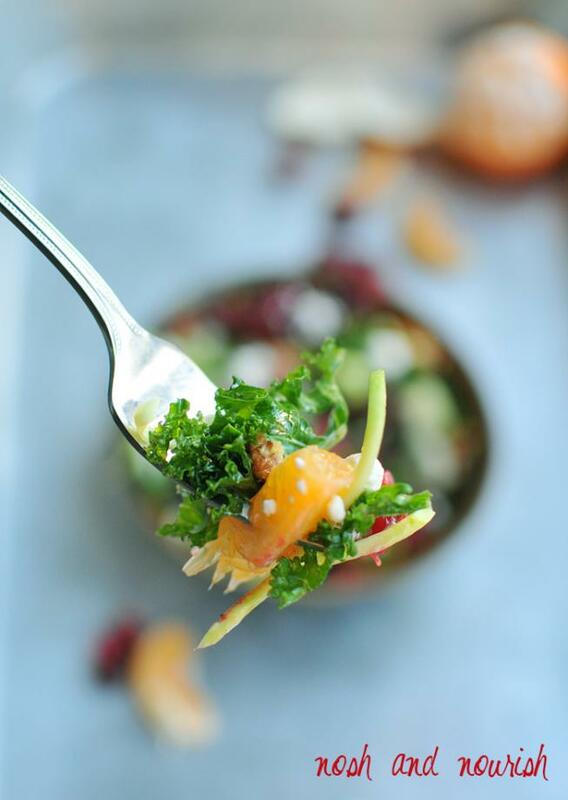 Besides being absolutely delicious, this creamy citrus dressing has a distinct purpose: it takes away any and all bitterness from the kale and brussels! So all that's left is to take a bite! Is there something healthy you love to eat/make that your significant other hates? 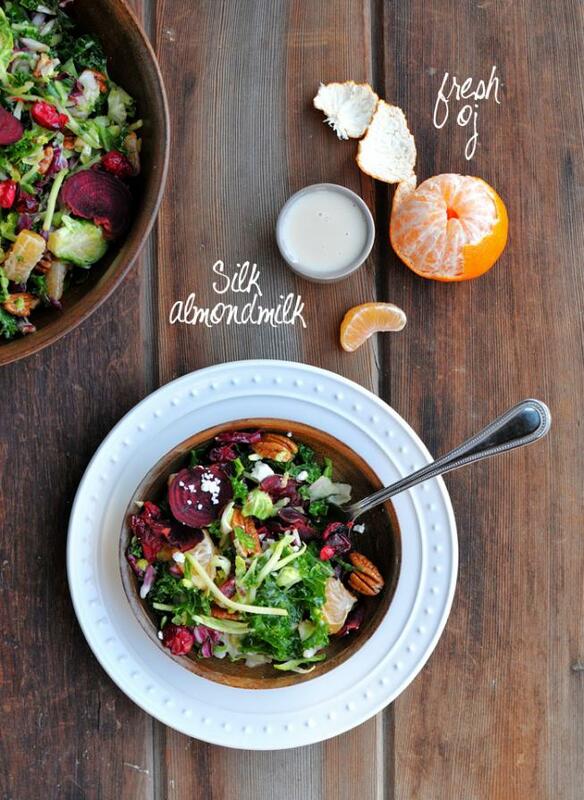 Have you ever used almondmilk in a salad dressing? To keep up with Silk's new products (they're introducing a new Cashewmilk that I am soooooooooo excited to try!!! 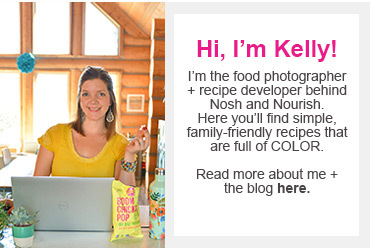 ), get project ideas for the holidays, and fun recipes, be sure to like their Facebook page! Or sign up for their newsletter to get coupons and other giveaways (for actual good stuff --they've given away a dSLR and a tablet recently!!). This conversation is sponsored by Silk. 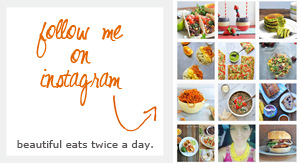 The opinions, text, recipe, and beautiful food photography are all mine. In a small bowl, combine fresh cranberries, 1 tbsp of sesame oil, and 1 tbsp of coconut sugar. Then lay them in a single layer on a lined baking sheet. Also lay out the thinly sliced beets in a single layer. Bake for 15 minutes, then remove from heat. Combine the dressing ingredients in a small bowl: oj through sea salt. 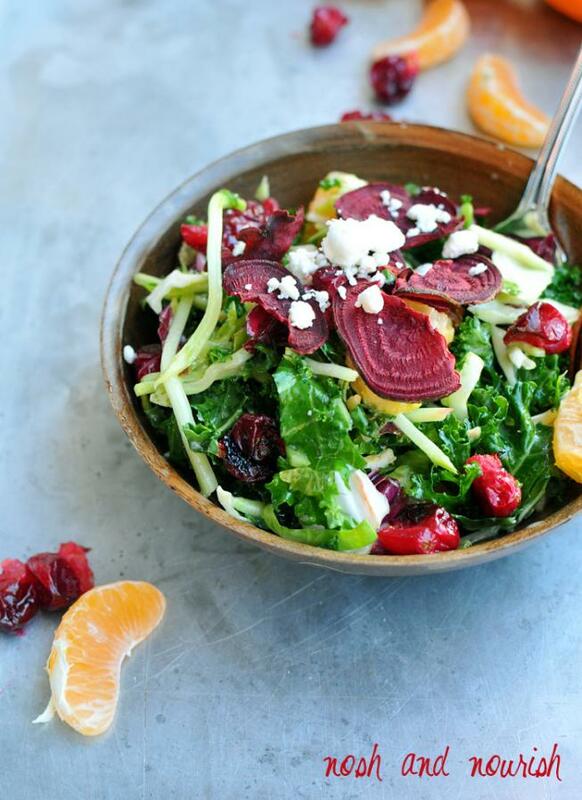 Toss everything together in a large mixing bowl: salad greens, dressing, roasted cranberries and beets, fresh diced clementines, and pecans.